Exceptional results driven by synergy. We believe that merchants, whether they’re a startup, an SME or a large enterprise, deserve seamless solutions that reduce the complexity of running an online business. That’s why PesoPay has integrated with industry-leading technology platforms to streamline payment acceptance and deliver uncompromised performance for our clients. Guestline is a leading provider of mission critical hospitality solutions – from cloud-hosted property management and channel distribution to digital marketing technologies all from a single, expert source. Arcadier delivers off-the-shelf marketplace solutions for businesses of any size, enabling commerce between buyers and sellers anywhere in the world. Beds24 is a full-featured online booking system designed for just about any type of accommodation business – B&B’s, hotels, vacation rentals and more. Pytheas Infosys is a travel technology start-up that delivers reliable SaaS solutions for agencies, travel & hospitality companies across the globe. Shopify is a leading ecommerce platform that enables small and medium-sized merchants to set up an online store in minutes and bring their brands to life. Serino™ is a software development platform created by iGen that allows them to build CMS, e-commerce, and entertainment apps faster. Jinisys Software Inc. is a Filipino software engineering company that offers property management solutions for the hospitality and real-estate sectors. SimplyBook.Me is an online appointment scheduling software and booking platform designed for all service based businesses. Tribal Group Plc is a market-leading technology provider of education, learning and training systems across the world. BookLogic is a leading technology provider of online reservation systems and software for accommodation providers, tour operators and more. DirectWithHotels empower accommodation providers of all sizes to optimize revenue through top online third-party distribution channels. Boomer is a mobile-based marketing app that allows business owners to easily build, manage & market their own online stores via any mobile device. Oasis Hospitality Software is a Hong Kong-based software developer that specializes in PMS and POS systems for hotel chain operators. Invoicera is an invoicing platform that enables businesses to automate business processes & communication with online invoicing, recurring billing and more. GHS empowers businesses in the hospitality industry to drive profitability through innovative marketing solutions like CRM, loyalty marketing and more. STAAH specializes in channel management and booking engine solutions that empower accommodation providers to increase sales and drive visibility. Amadeus helps businesses connect to the global travel ecosystem, manage operations more effectively and serve travelers better than ever. EasyStore is an easy-to-use tool that allows sellers to create online stores without any technical or design skills required. Hotel Link Solutions offers customizable digital-marketing and sales solutions for accommodation providers of all sizes. Backed up by more than 20 years of experience, iManila is one of the country's most reliable providers of full-service web and digital marketing solutions. TicketSocket provides reliable White Label Ticketing Platforms for organizers & ticketing companies who need to control their own solution. NetSuite Inc. is a leading provider of cloud-based financials / Enterprise Resource Planning (ERP) and omni-channel commerce software suites. 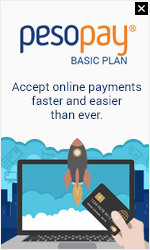 services with the leading payment gateway in the Philippines.